The Rhodes console table will add style and function to a multitude of décor styles. 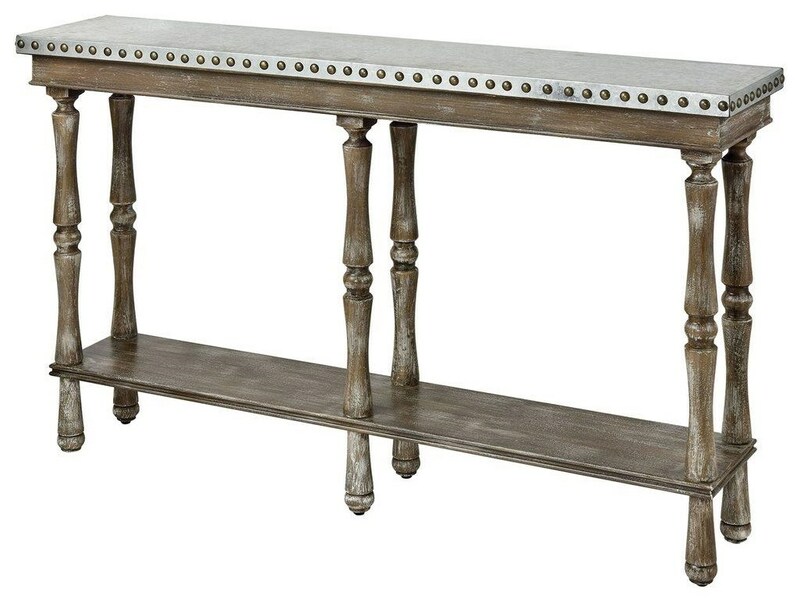 With a lower storage shelf and galvanized metal top featuring brass nailhead trim, the console is beautifully finished in a washed warm oak hand-painted finish and six turned post legs. The Accent Tables Rhodes Console Table with Galvanized Metal Top by Stein World at Royal Furniture in the Memphis, Nashville, Jackson, Birmingham area. Product availability may vary. Contact us for the most current availability on this product.